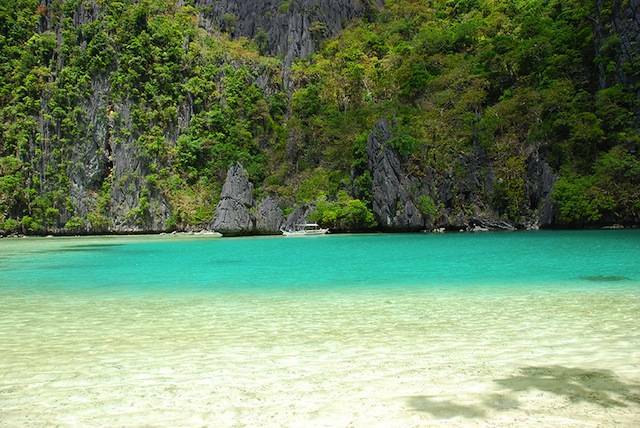 Discover the wonders of El Nido Tour B : Caves and Coves in this whole day tour. 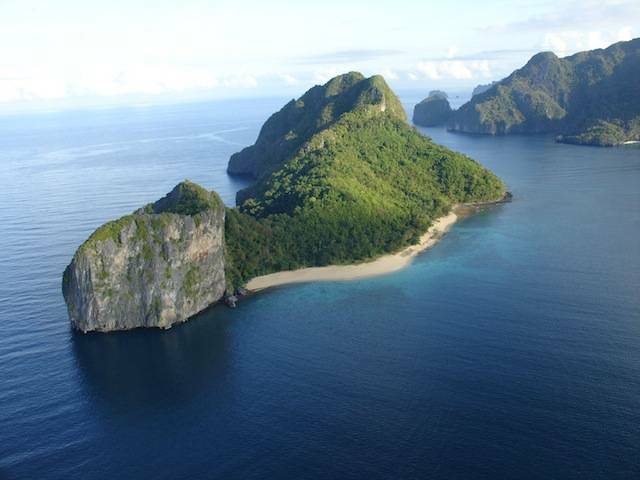 El Nido has an abundance of pristine islands and beaches waiting to be discovered. A whole day tour will take you to some of the most beautiful coves in Bacuit Bay. From the towering marble cliffs and enchanting lagoons to its white sandy beaches and lush jungle, El Nido is one of the top tourist destinations in Palawan, which is often referred to as the Philippines’ Last Frontier. 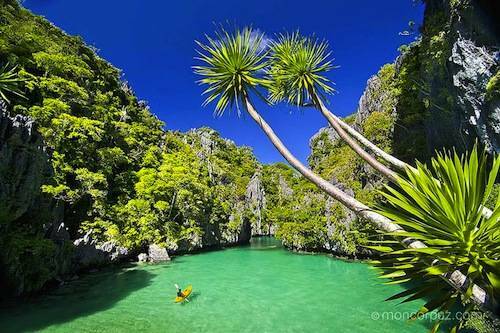 National Geographic Traveler’s magazine, has chosen El Nido Palawan as one of the best travel destinations in the world. Compared to Ha Long Bay in Vietnam and Krabi in Thailand, El Nido has all the grandeur and spectacle of an island paradise without the maddening crowd and the touristy prices. Pangalusian Island – It has one of the widest stretches of powdery white beaches in El Nido, which is very ideal for sun bathing, sunset viewing, and other beach activities. The waters fronting the beach are clusters of coral reefs that make this area a good snorkeling and diving site. 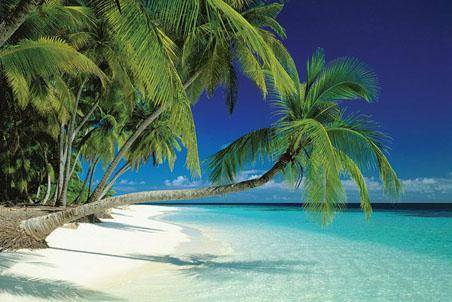 Pinagbuyutan Island has soft powdery white sand comparable to the world’s best beaches. The water is shallow for about a couple of meters from the shore and then a few meters away you will see a snorkeling area full of fishes. Get captivated by the emerald green color of the water and the phenomenal seascape fronting this island. Vigan and Snake Island – Located near Pangulasian Island, it is also referred to as, “Snake Island,” because of the fine natural sandspit (s-shaped sandbar) that “snakes” off it shores. The sandspit is clearly visible only when the tide is low. On both sides of the sandspit are shallow swimming areas. Climbing the hill of the nearby island provide a glimpse of an awe inspiring seascape and a bird’s eye view of Bacuit Bay while the boat crew prepare a sumptuous meal. Cadugnon Point and Cave – It is an important anthropological site, where jewelry and pottery dating back to the Sung Dynasty (960-1279 BC) were yielded. The anthropologists believe that the cave dwellers were from Borneo, and travelled across the ancient land bridge that connected Palawan from Borneo. A small opening hidden among the rocks near the beach reveals a cathedral like cave inhabited by sea sparrows. Inside you’ll see spectacular rock formations and a way to climb a small limestone hill. A truly wonderful experience. 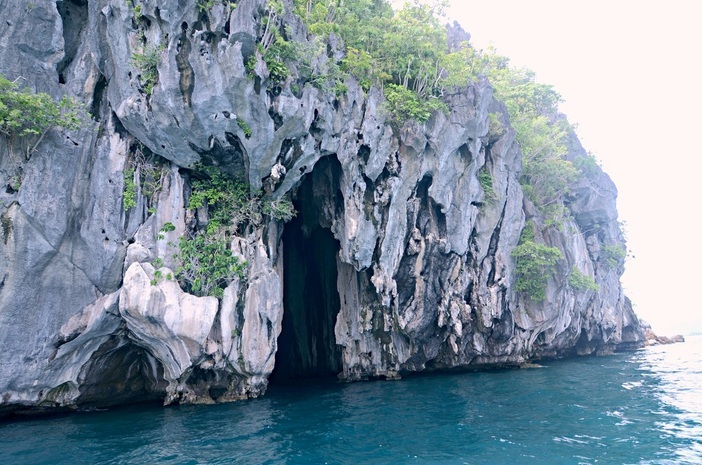 Pinasil Island and Cathedral Cave – The island has a cathedral-like cavern accessible by dinghy and kayak. Its cool interior is lit at certain times of the day by sunlight coming through an opening at its peak. This one of important sites for the busyadors or the birds’ nest gatherers. Please bring a change of clothes, swim attire and your own snorkeling equipment or you can rent snorkeling equipment from the tour provider prior to departure. Make sure your tour guide is licensed. Licensed tour guide have been trained to minimize the damage to the environment, in first aid, in the highlights and history of El Nido. Always wear a life vest. A life vest protects you and coral from damages. We ask that you maintain a distance of 3 meters from the reef. Be careful not to step on the coral. Dangerous organisms sometimes live on the coral and it is unsafe for you to step there. Touching or stepping on the corals also damages the coral polyps. Be aware of your waste. Help El Nido stay clean by using reusable containers, refraining from littering, and segregating biodegradable from non-biodegradable wastes. El Nido Eco-TOurism Development Fund : The Eco-Tourism Development Fee (ETDF) was establish in 2008 in an attempt to fund the expenses of environmental maintenance and protection. The ETDF is also used to develop environmental protection projects which aim to limit the impact of tourism on the environment. The fee of P200 per person is assessed on all tourist upon arrival.